A deposit of £100 secures booking, with balance payment required 6 weeks before. One king size bedroom with en suite, one twin bedroom with option to sleep 6. 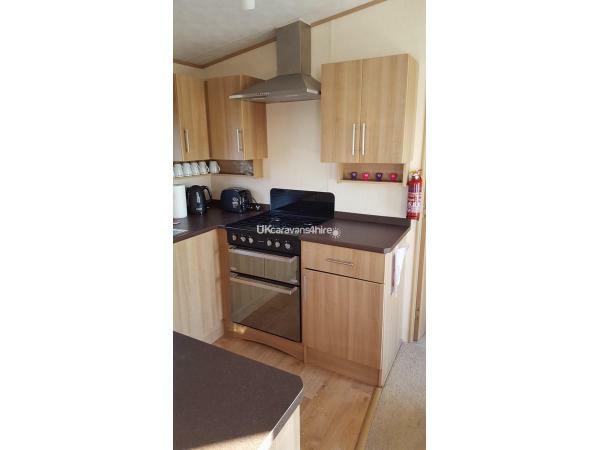 Good sized modern fully fitted kitchen and dining area. Saturday to Saturday bookings preferred, however if you are looking for 3,4 or 5 day stay then this can be accommodated, just ask.